Based on a novel by Liane Moriarty, 2017’s Big Little Lies offers a “limited run” series from HBO. This Blu-ray set includes all seven of its episodes, and the plot synopses come from the Blu-ray menus. With an episode like this, we mainly expect exposition, as the show needs to set up the characters and situations. “Dead” does that but it goes farther, so it acts to provide both the needed basics as well as good early development, all of which create intrigue. When the series opened, it looked ready to offer little more than a broad parody of modern parenting. Some of that continues to come through, but Lies brings us a more nuanced take than I initially anticipated. “Serious” moves along the characters and circumstances in a dynamic way. While prior episodes mixed comedy and drama, “Dream” tends toward a darker feel. Some parts of this work well, but the show drags a little more than I’d like. Still, it moves along events in a satisfactory manner, even if it lacks the entertainment value of its predecessors. While “Shove” continues the mostly dramatic tone of the prior episode, it integrates those elements in a superior manner. It moves along character components in a satisfying way as it reminds us of the murder mystery at the series’ core and digs in deeper. Throughout the series’ first four episodes, the “murder mystery” plot remained more of a subtext than a main domain. As we progress, though, the “whodunnit” – or more appropriately, “who seems capable of doing it” – side heats up, and that becomes a major aspect of “Bitten”. The show balances its hints of psychoses with its character evolution to become another involving program. Though the main murder mystery resides at the series’ core, I admit I’m more intrigued to know who bullies little Amabella. We don’t get the answer to that, but some developments emerge, and other aspects of “Love” make it a good lead-up to the finale. Not only do we learn the latter, but the whole “murder mystery” element wraps up as well. No one will feel surprised by the identity of the victim, but a connection that person shares with another character may shock. I admit that latter revelation could’ve harpooned the episode, as it feels convenient/gimmicky, but the series’ strengths ensure it doesn’t do damage. Instead, “Need” concludes matters on a powerful note and makes sure that Lies winds up as a terrific drama. Big Little Lies appears in an aspect ratio of approximately 1.78:1 on this Blu-ray Disc. The series’ visuals usually looked quite good. The shows offered solid clarity. Only a smidgen of softness materialized, so definition was usually positive. No issues with jagged edges or shimmering appeared, and I saw no edge haloes. Source flaws failed to mar the presentation. The series opted for a palette with a definite teal tint – it tossed in an orange orientation at times, too. Within those parameters, the colors seemed fine. Blacks were pretty deep and tight, while shadows appeared positive, with only a little opacity on occasion. Overall, the shows provided appealing visuals. The DTS-HD MA 5.1 soundtrack suited the episodes but won't win any awards. The soundstage appeared nicely broad at the appropriate times and could be moderately engulfing on occasion. It's a talky little series, so the focus was mainly up front, but the audio expanded when necessary. This occurred mostly via gentle environmental ambience, so the surrounds didn’t have a lot to do. Occasional beach scenes added the most pep and that was about it. That said, the imaging made sense for the series. Sound quality seemed fine. Dialogue always appeared crisp and natural, and I had no trouble understanding it. The score was warm and distinctive. Effects also seemed realistic and adequate for the tasks at hand. Lies won't be anyone's demo track, but the mix worked well for the series. In terms of extras, we get Inside the Episode featurettes for every episode except “Living the Dream”. 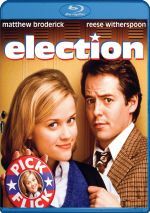 These run a total of six minutes, 23 seconds and include notes from director Jean-Marc Vallee, writer/creator David E. Kelley and actor Reese Witherspoon. They’re nothing more than quick teasers/promos for the shows, so don’t expect anything from them. 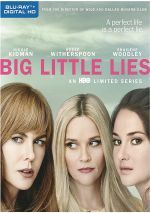 About Big Little Lies goes for seven minutes, 25 seconds and features Kelley, Vallee, Witherspoon, and actors Nicole Kidman, Shailene Woodley, Zoe Kravitz, Alexander Skarsgård, Adam Scott, James Tupper and Laura Dern. “About” looks at the source and its adaptation, story/characters, cast and performances, locations and Vallee’s impact on the production. Though slightly more substantial than “Inside the Episode”, “About” remains pretty superficial. Packed with quality talent and a strong storyline, Big Little Lies avoids the soap opera pitfalls that could mar it. Instead, the mini-series provides an involving, well-executed tale. The Blu-ray presents mostly positive picture and audio but it lacks substantial supplements. Lies keeps us intrigued from start to finish.